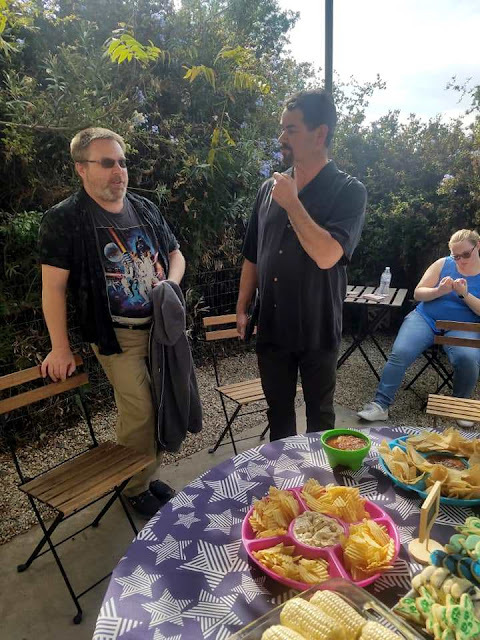 The club's 10th Anniversary celebration continued this past Saturday with our third group outing to Steve Sansweet's Rancho Obi-Wan. 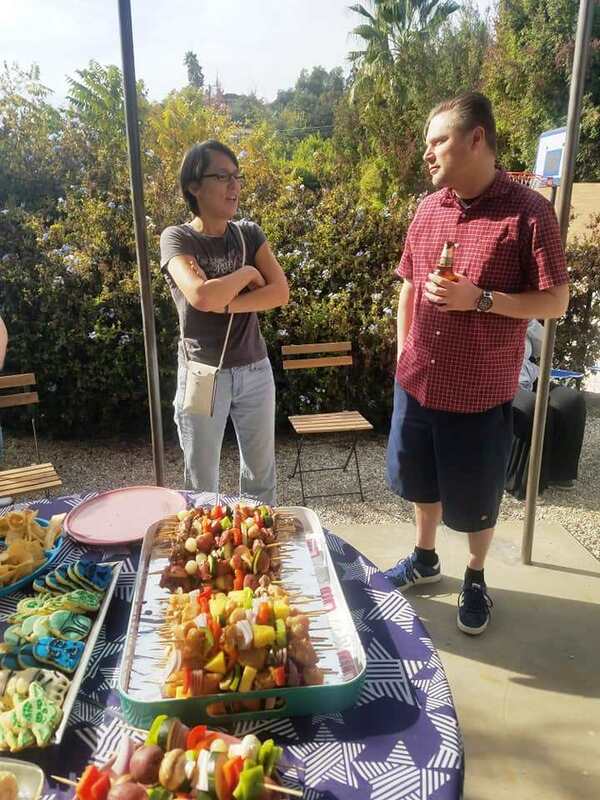 Our very own Dwayne Smith, whose first CAVSWCC appearance happened to be at the club's inaugural Rancho trip in 2012, has since gone on to become a docent at the museum and he led this year's tour with flying colors with the terrific Marc Morita along for the assist. The wonderful thing about Rancho Obi-Wan is that no matter how many times you've visited, you're always bound to see something new that captivates you. Below are a few photos highlighting this trip. 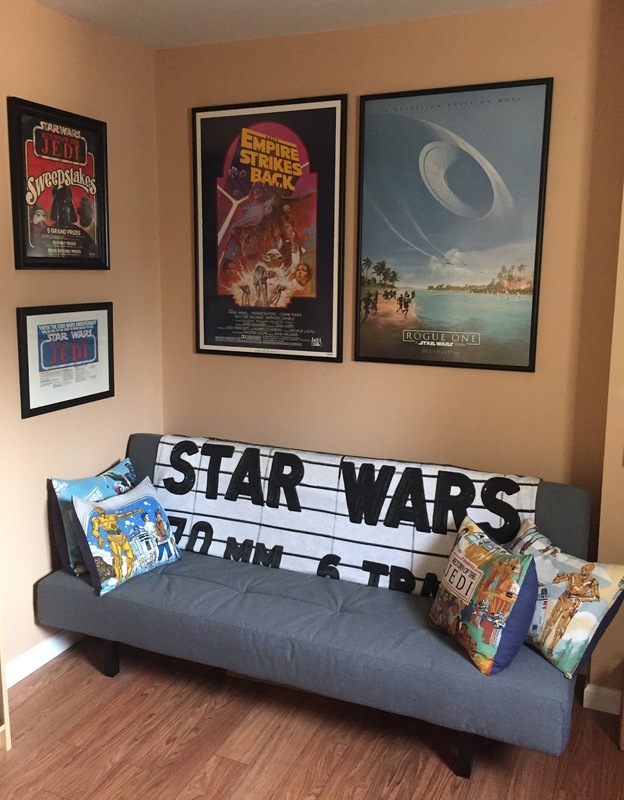 Steve's poster collection is the perfect starting point. Here Tom and Tessa admire the classic Style D "Circus" poster from 1978. 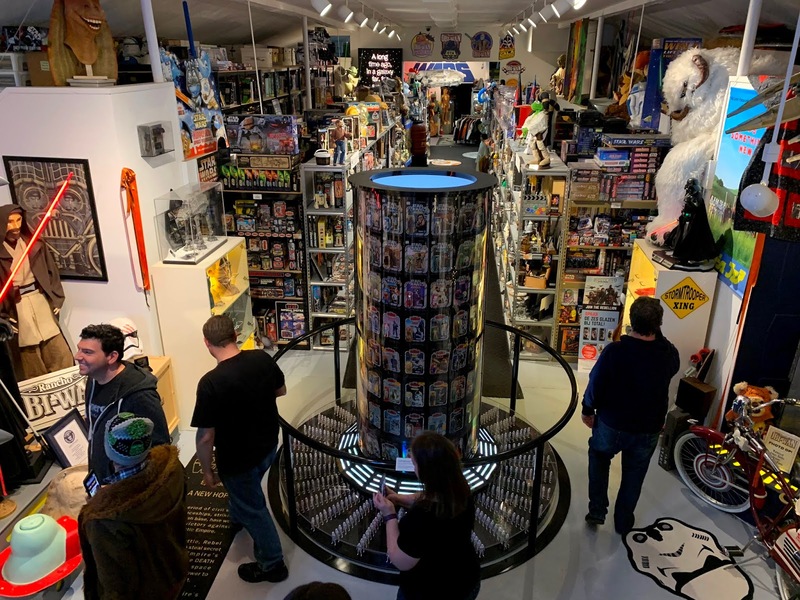 Originally designed for Target's L.A. event for The Force Awakens, this awesome tower now houses a vintage carded U.S. run. Dwayne points out the unique 12" line of Lili Ledy figures from Mexico. 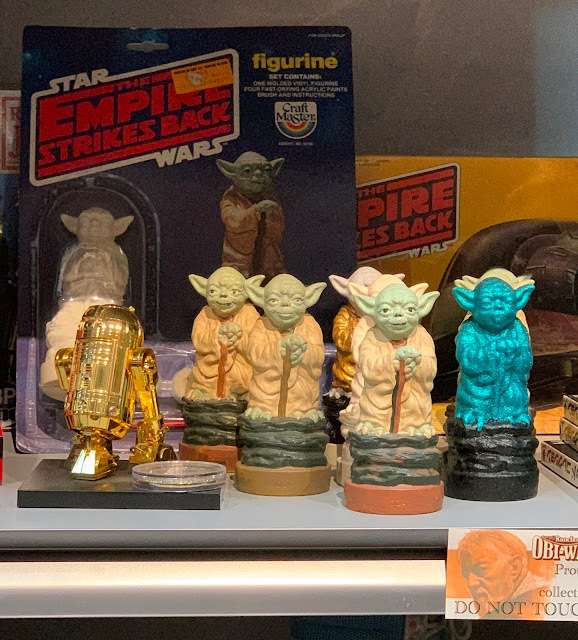 Anne Neumann's curated collection of Craft Master Yodas. Dwayne is the artist behind the dazzling turquoise version. Two gems from the "sportswear" collection: R2-D2 floaties from Aqua Fun and Wicket roller skates. "Nasty" Latara travels in style. One of many amusing custom/fan-made items in the collection. 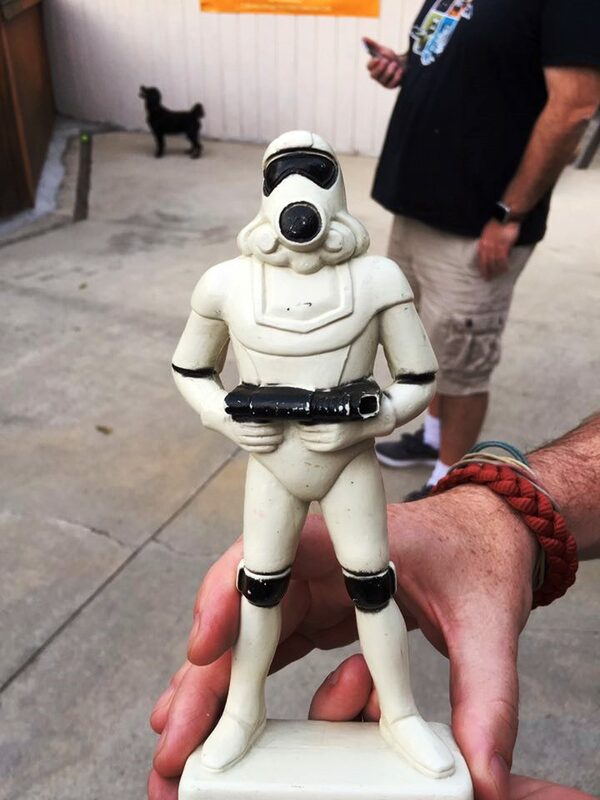 Dwayne shares a Stormtrooper costume from Australia with particularly bizarre box artwork. Newcomer Sam Edwards makes his mark on the CAVSWCC flag. Steve Sansweet and Anne stopped by for a nice visit in the art gallery extension of the museum as the tour was wrapping up and we had a great post-tour group dinner at hoppin' McNear's in downtown Petaluma, which is now a tradition of sorts. 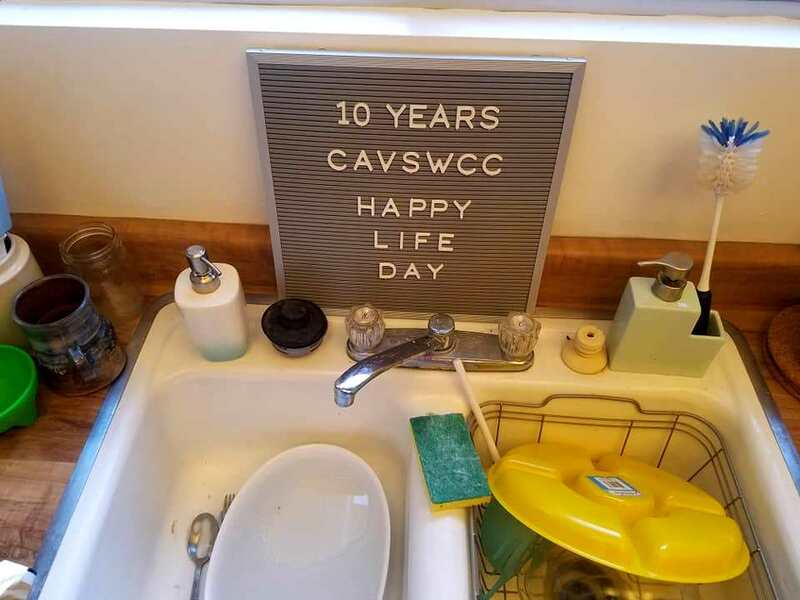 CAVSWCC's second ever meeting (and first in the Bay Area) was held in February, 2009, so this weekend couldn't have been more fitting to commemorate hitting that decade mark. 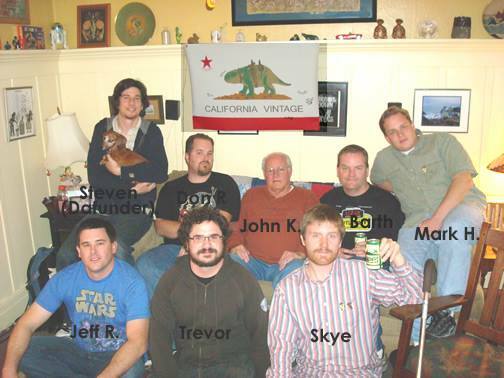 Steven Petsche, who hosted that '09 get-together in San Francisco, was one of several in attendance from the original NorCal meeting who have joined in for the club's past pilgrimages to Rancho, along with Mark Huber and Trevor Wencl. 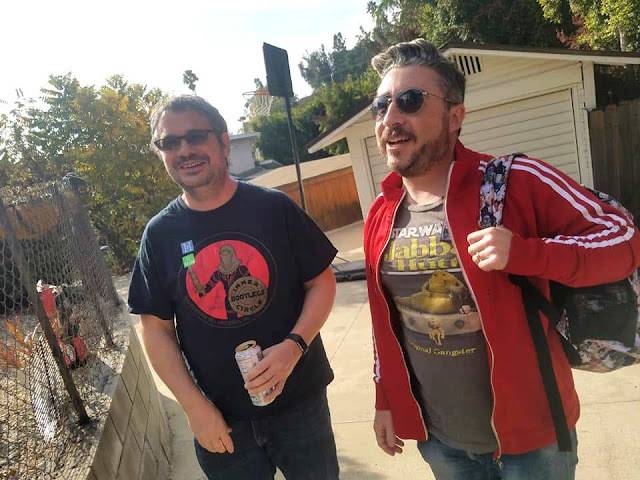 Happy 10 years, guys! 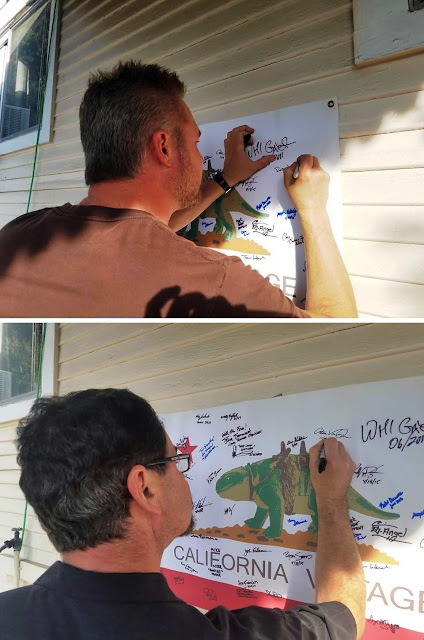 Seeing how many more signatures have adorned the flag since then is a great feeling, as is sharing in the experience that this amazing place offers us as collectors and friends. 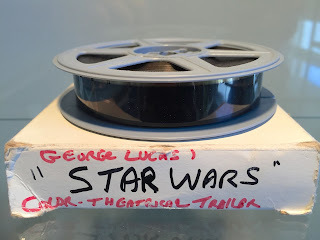 As Han Solo followed the statement in the title of this post with an "I'm glad I could be here" that bottomed out the Harrison Ford disinterest meter, it became perhaps the funniest moment in the Star Wars Holiday Special for me. This is because the circumstances onscreen so painfully tell us otherwise and the circumstances I found myself watching it in for this particular attempt were actually precisely in line with the intended sentiment. 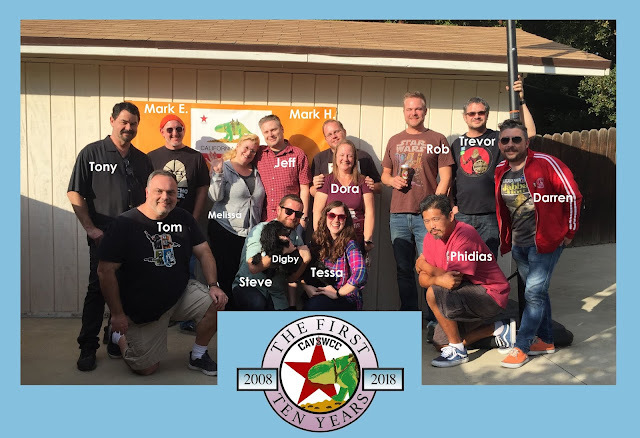 This past Saturday, the club celebrated its 10th Anniversary with a get-together in Eagle Rock and among the many highlights, standing in our living room with those brave enough to stay into the evening and endure the Holiday Special in its entirety may top them all. 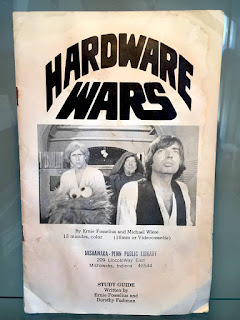 Without being initially aware of or intending it, the date of the meet-up happened to fall on the 40th Anniversary of the infamous yet beautiful Star Wars television disaster of November 17th, 1978. It's as if it was fate. 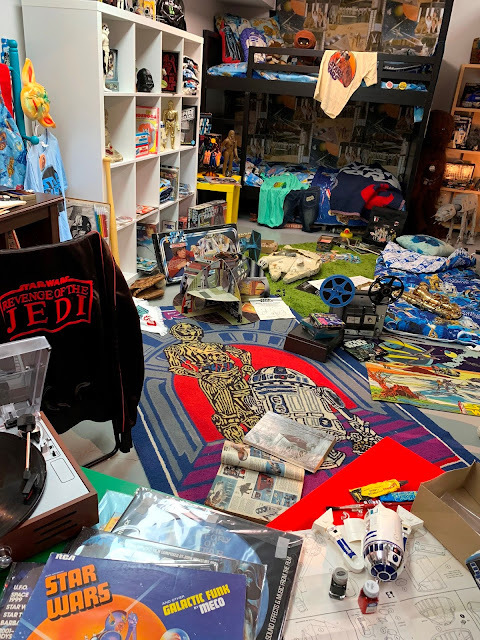 While we were sadly missing our founder and Wookiee family connoisseur that moved eastward nearly 9 years ago and later joined another amazing collectors club, he was definitely there in spirit. In the past 10 years, the club has grown considerably both in ranks and activities. 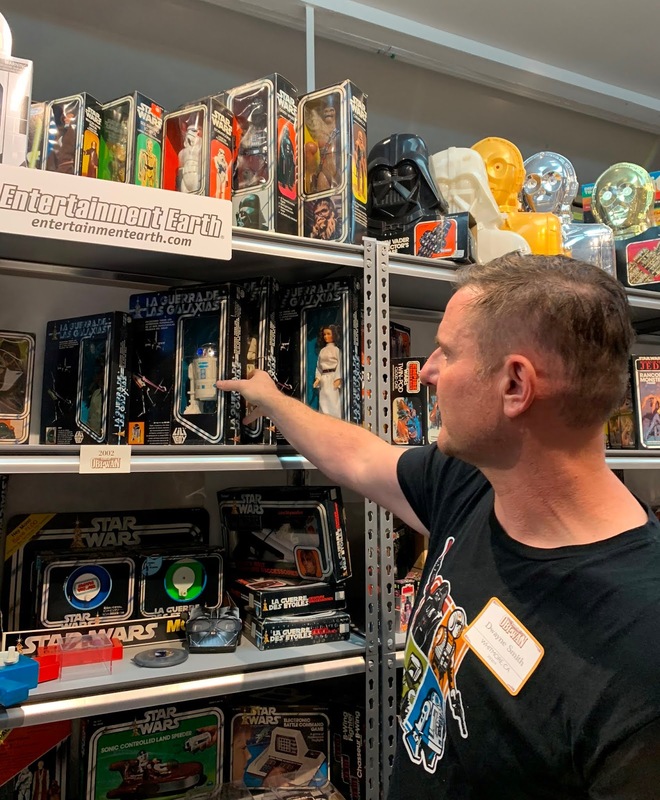 From two group trips to Rancho Obi-Wan (and a third upcoming) and having an official booth at Star Wars Celebration (which is on the horizon again with next spring in Chicago) to becoming a regular presence at the Rancho Cucamonga Library's annual "Star Wars Reads" event, a lot of vintage Star Wars appreciation has been fostered for both collectors and casual fans of all ages. But at the heart of it, despite how sporadically we shake the "Californian" in us and plan member-hosted meetings, this club has established a close-knit community of collectors, and of friends. Last weekend's get-together exemplified this. 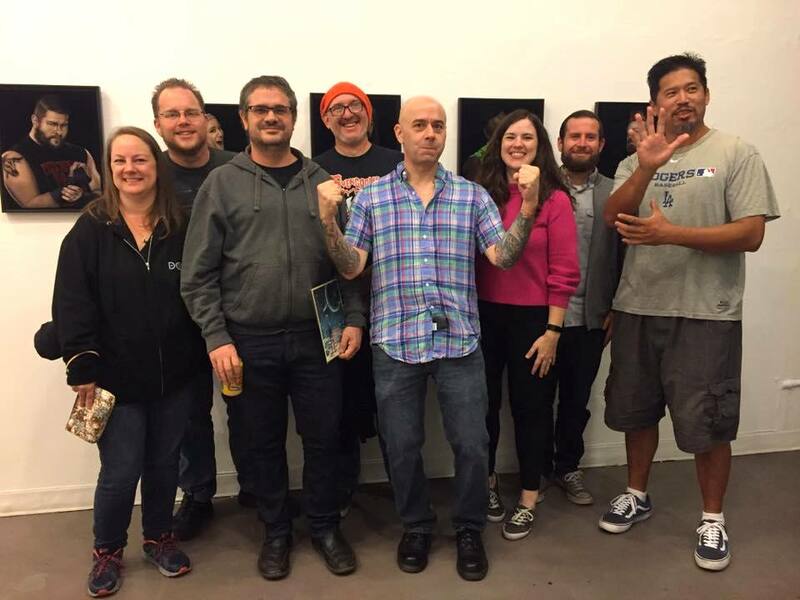 As a perfect preamble, none other than the velvetgeek Bruce White himself was in town to open another incredible WWE black velvet wrestler portrait show at Gallery 1988 on Melrose the night before and a NorCal contingent of Mark and Dora Huber and Trevor Wencl arrived a day early to attend. 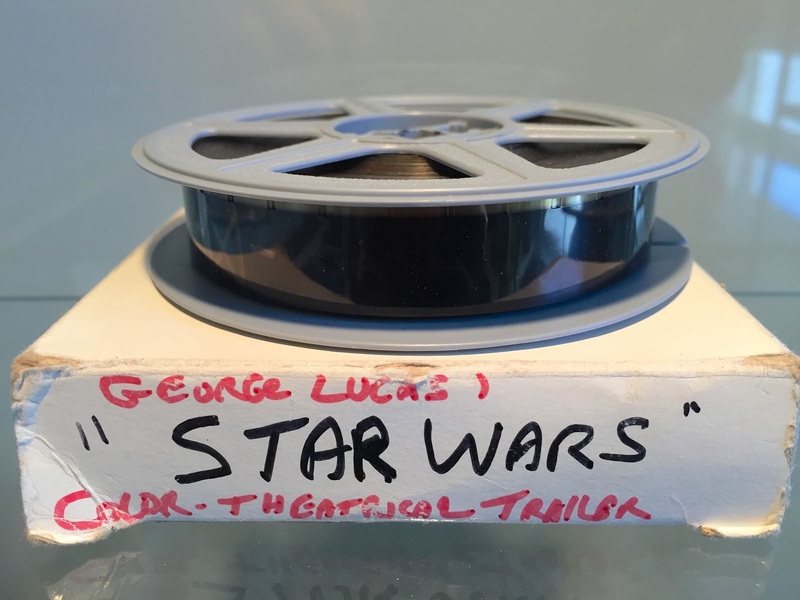 Just before heading to the gallery, we squeezed in a quick double-feature 16mm screening of the original teaser trailer for Star Wars and its derivative parody Hardware Wars courtesy of Trevor, who once played in a band by none other name than "Fluke Starbucker" and has petted the one and only Chewchilla the Wookiee Monster. 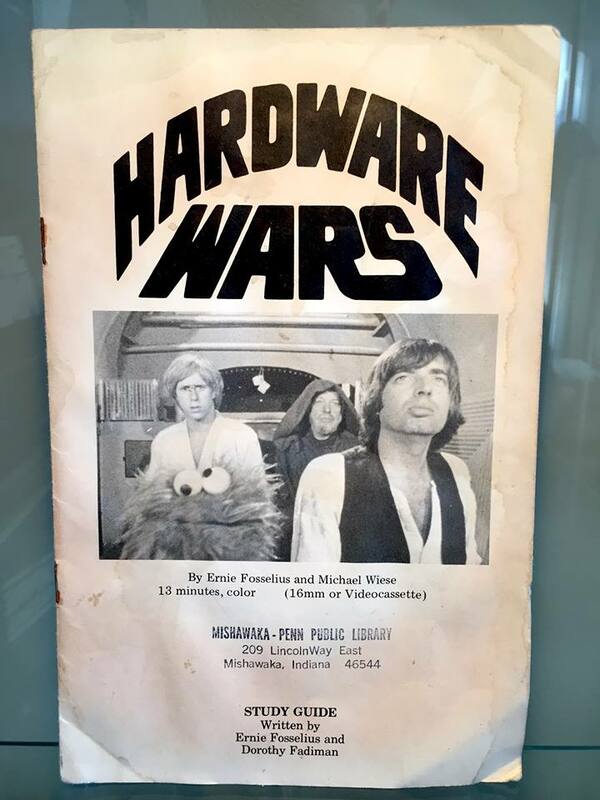 Trevor's Hardware Wars print was a gem for several reasons. 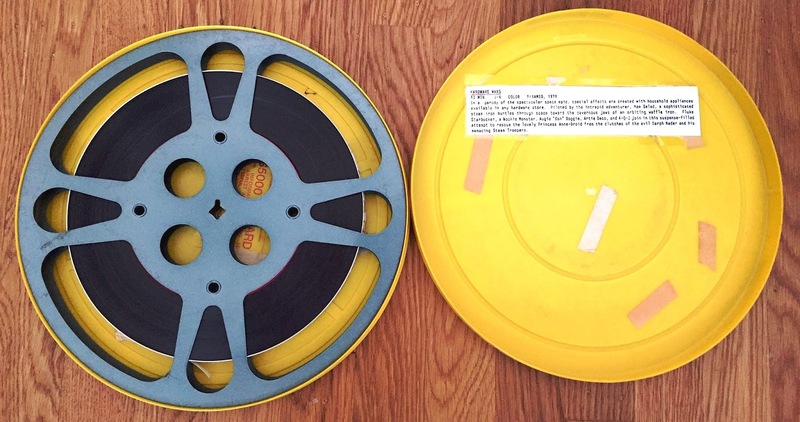 First of all, the color was spectacularly good for a print from the late 70s. Secondly, it was canned with a supplementary pamphlet that revealed this particular print was intended to be used for educational purposes. The study guide, which was written in part by the film's director Ernie Fosselius, included numerous exercises meant to teach students about the nature of parody -- even having them come up with their own. 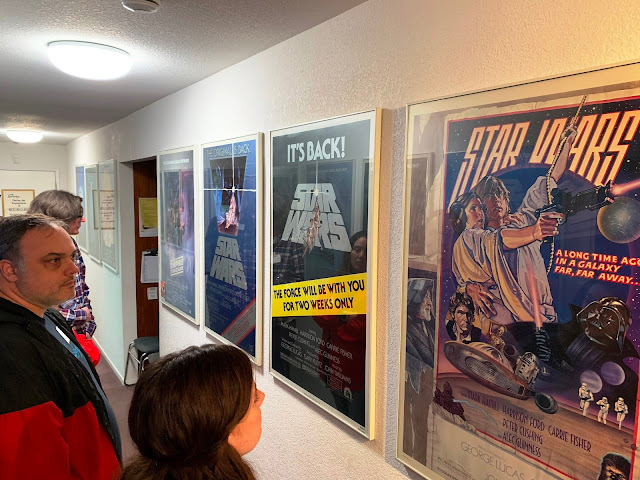 It is the ultimate film-related kitsch collectible and I'm so glad he brought it and that we were able to project it. 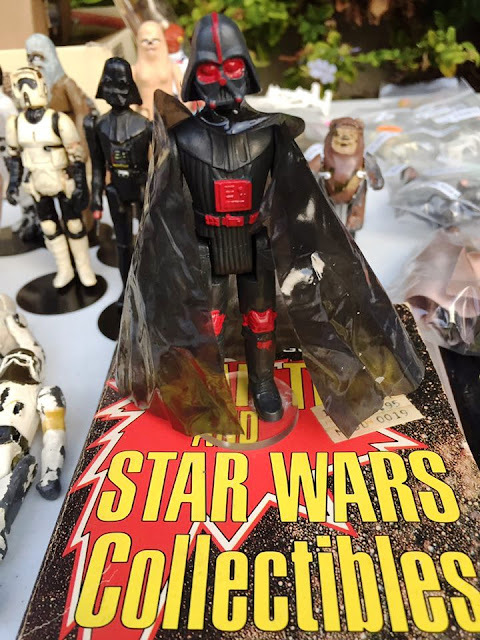 Saturday's main event saw all of the CAVSWCC Meeting mainstays: regulars and newcomers, bbq and beverages, and a varied assortment of vintage items for sale, trade, and to share. 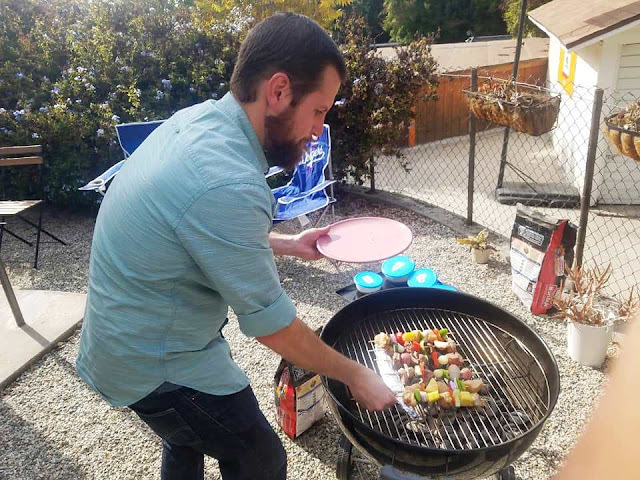 First round of kebabs hit the grill. The club mascot points the way to the watering hole. Tessa's amazing cookies (sadly, no Wookiee molds in the set for Life Day). Patio ensemble on a nice (nearly Fall-like) SoCal day. The gang gathers at the drive-way "Swap Meet," where everything from store displays to Rumph mugs to lobby card negatives could be found. A couple of old-schoolers: Phidias and fresh from the East Coast, Rob Johnson - Welcome to CA! Rob and Tony make their marks on the CAVSWCC flag. Finally had some pieces framed in the office just in time for the get-together. A fun acquisition and one that's been on my list for some time: the Jim Rumph Kenobi Mug -- Thanks Mark H.! With most of my vintage collection not on display, I did bring out a few favorites, including the bizarre Silver Striker. 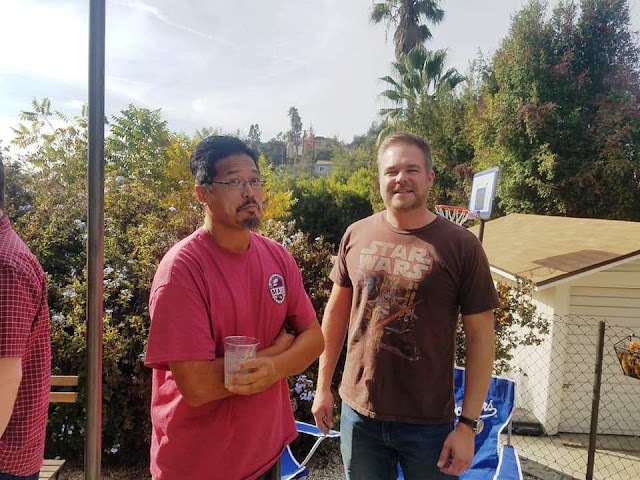 To exorcise the Holiday Special demons, Mark and Darren took part in a "Super Star Wars" session where the mantra was "blast first...don't ask questions." 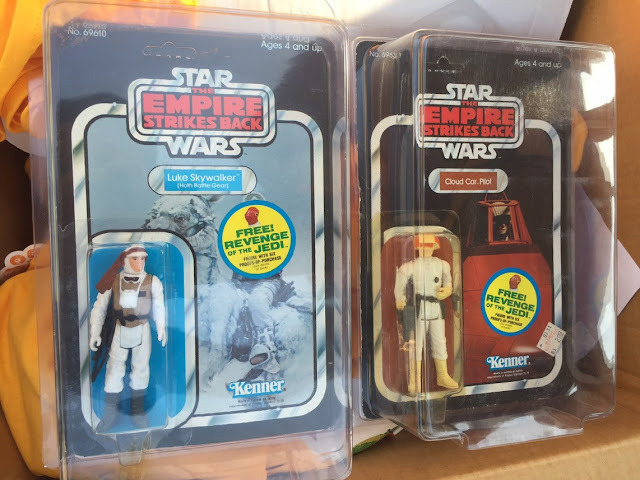 We made it into Echo Base in "Super Empire Strikes Back" but never made it to "Jedi." Next time! 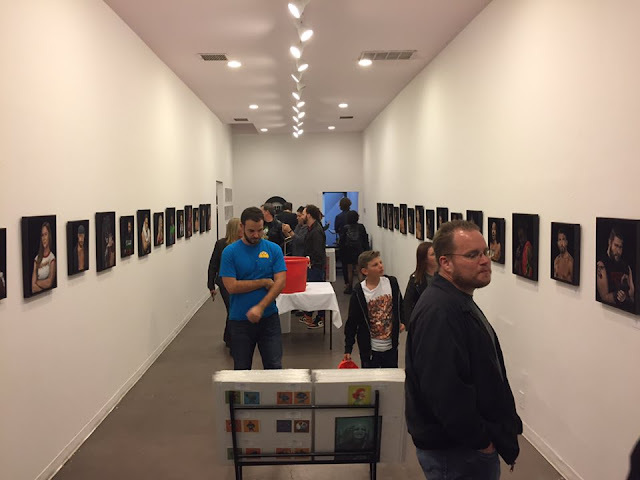 Thanks so much to everyone that could make it to this one, and to everyone that's attended any of the meet-ups since '08. With CAVSWCC, a joy we all can share was truly created. Here's to another 10 years. 2017 has turned out to be quite an active year for CAVSWCC. 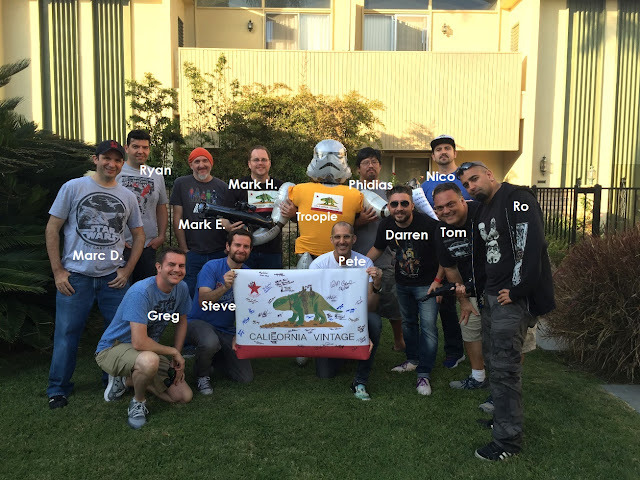 With two meetings and a return to the Rancho Cucamonga Library's "Star Wars Reads" event happening earlier in the year (to see photos from the July Northern CA meetup hosted by Mark Huber, be sure to check out this great post on the Facebook Group), this past weekend's third get-together that took place in Marina del Rey was a welcome opportunity to gather again. Darren Thomas and his wonderful wife Ashlee generously hosted this round and as usual, it was a blast! 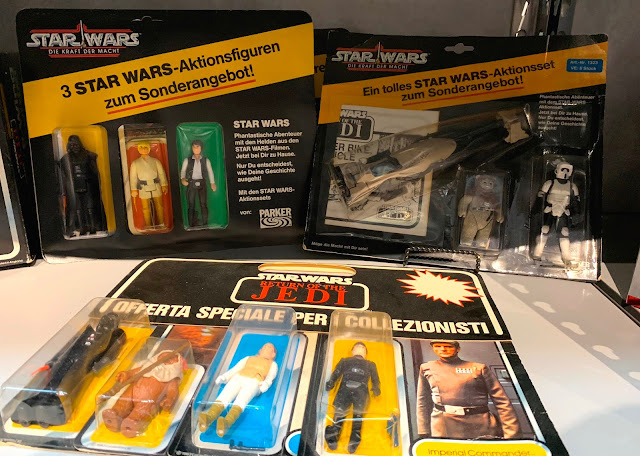 Among many neat pieces in Darren's fantastic collection of bootlegs and other oddities, it was nice to see a Lili Ledy 12" R2-D2 and several Brazilian Model Trems in person! Darren's impressive loose collection on display with customized color backers created by fellow Southern Californian collector and first time meeting attendee Greg Sanders. Fitting servers at the poolside spread. 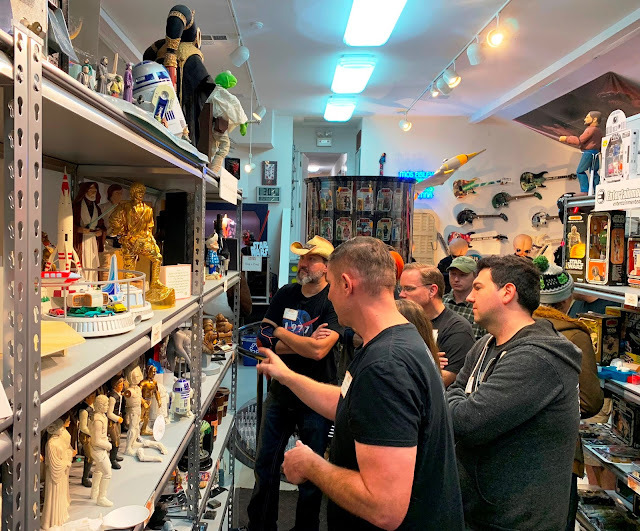 Darren had recently pieced together a complete and (mostly) fully operational "Duel at Death Star" Racing Set, which was simply awesome to see in person and to give a go. From the odd Stormtrooper Luke artwork to the incredibly lamely designed "fighter" cars, this is a thing of beauty. 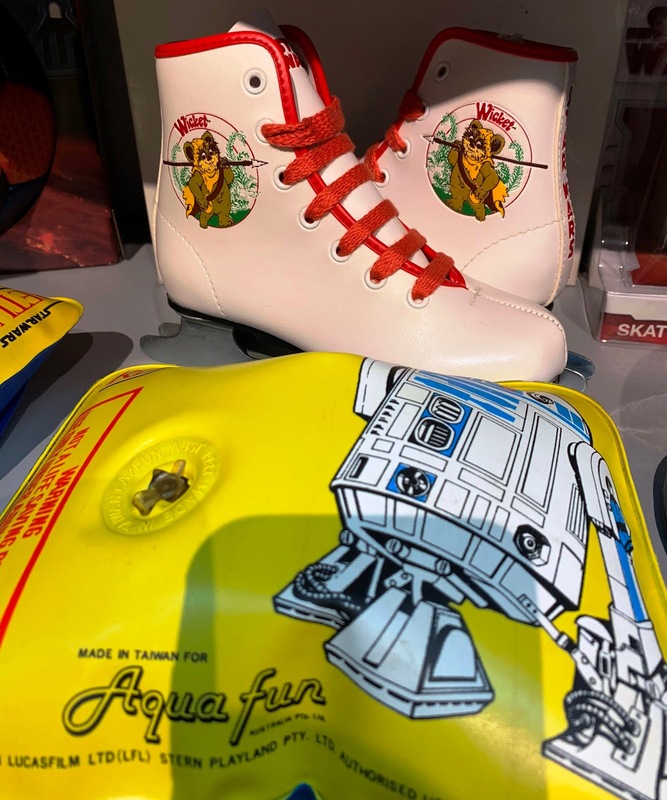 Ryan Savas brought items that had a discernible "Holiday Special" theme, including a complete style guide for the animated sequence and some stellar pieces of animation art. 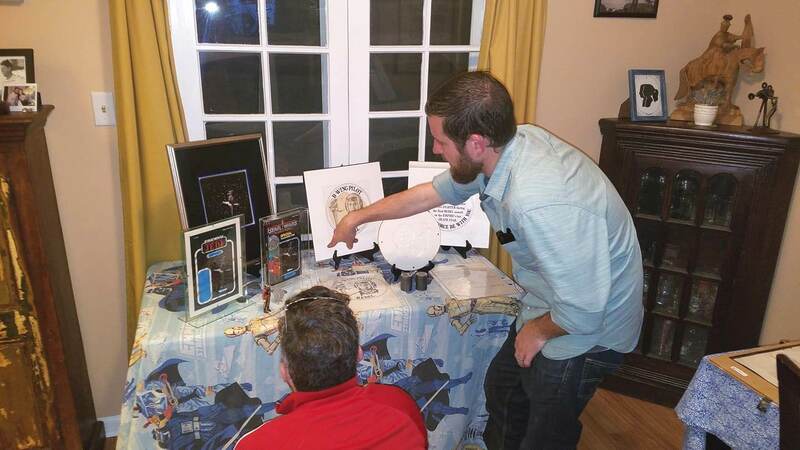 Darren brought out some impressive pieces of art, including "Galactic Freakshow" by Randy Martinez -- one of the standout examples from the "Vader Case Project" that were auctioned at Celebration Anaheim 2015, which was a pleasure to see up close again. First time attendee Ro Kohli brought a really cool selection of custom figures his company War Machine Marketing creates. 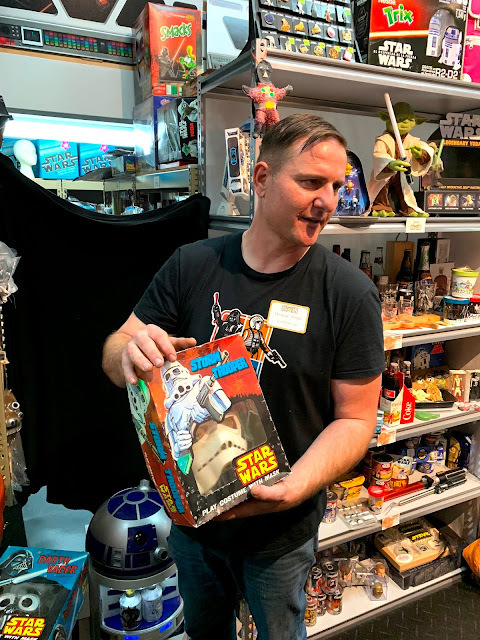 Above, Mark Huber (who devotedly trekked all the way down from Modesto for this meetup) inspects a Sandtrooper that was unfortunately hosting a Xenomorph. The glorious Jedi Master's Quizbook -- the first published work of "enterprising eleven-year-old student in Florida" Rusty Miller, who had been off the grid for many years. Of the many offbeat licensed toys from the vintage line, the Play Doh sets offer some of the oddest designs and imagery. What in the world is Darth Vader doing flying a Snowspeeder with Snowtroopers in tow? 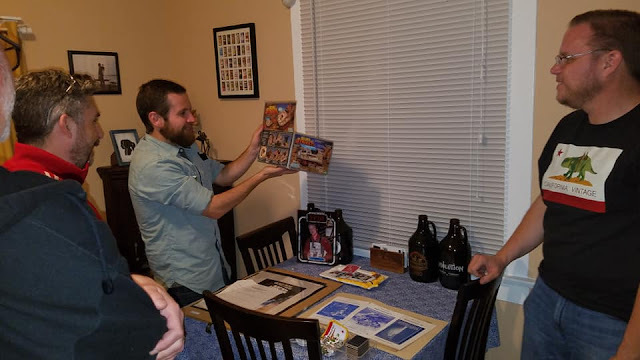 A CAVSWCC get-together wouldn't be complete without some fun pieces changing hands. 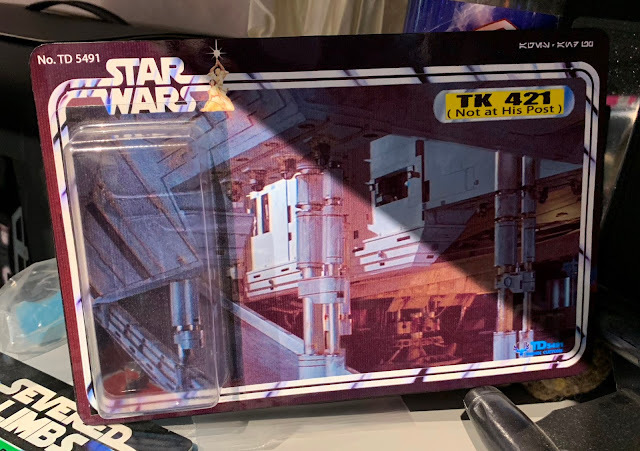 As if it were destiny, two Empire Strikes Back 48Bs that the club's expatriate New York-based founder (and self proclaimed "King of the 48Bs") Skye Paine was missing happened to be available from newcomers Ro and Pete Rosenzweig, whose name I had previously recognized from his tremendous vintage Star Wars photography blog at RatherChildish.com. 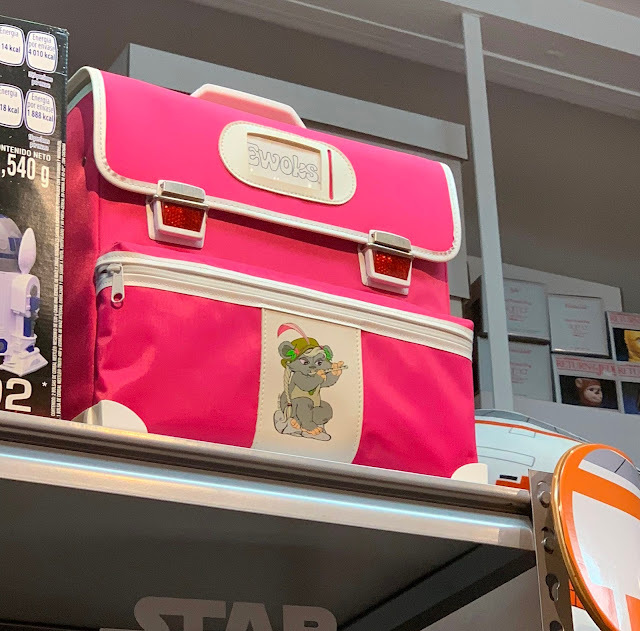 A contingent also made a visit to Big Lou's Toys and enjoyed additional fine dining at Dinah's Fried Chicken, which I am sad to have missed! Thanks again to Darren and Ashlee for their hospitality and to all that were able to attend. Copyright 2015 CAVSWCC. CAVSWCC Logo created by Barth Paine. Simple theme. Powered by Blogger.